Is it a good idea to buy property with a sibling? You are here:Newsletters > Is it a good idea to buy property with a sibling? When Amy Webster’s sister, Margie, found her dream home in Balgowlah, NSW, there was one problem. It was totally out of her price range. “Then, we realised we could pool our resources and buy it together,” Webster says. With housing affordability a national social and economic issue, should more siblings consider joining forces to get a slice of the property pie? 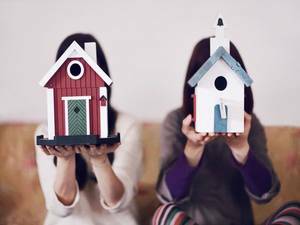 Given they shared the same home in childhood, why not as adults? However, anyone going into a similar arrangement should think about the end, Webster advised. The sisters were both in their 20s when they first purchased the house. “We did make an agreement when we bought it that we would commit to three years living there. As it turned out, we stayed there five years until I got married in 2005. Another option for siblings is to buy an investment property together. After Armand Aguillon was knocked back for a loan (in 2005), he joined forces with his older sister to realise his goal of purchasing a property by age 30. Microsoft program manager Megan Mallin, 41, already owned her own home with her husband but decided to pair up with her sister to buy a weekender at Toowoon Bay on the Central Coast. Mallin was familiar with the area from childhood holidays. “We both couldn’t afford to do it on our own,” she says. In a 2017 Westpac study, only 14 per cent of aspiring first-home buyers said they would consider purchasing a property with someone other than a spouse or parents. He recommends having a sunset clause. This provides an agreed timeframe in which both parties agree to keep the property, live in it, or rent it out.